Yoshihide Suga, Chief Cabinet Secretary of Japan, predicted Putin’s offer to sign a peace deal between two states, as Japan Times reports. “We will continue to persist in our negotiation with Russia,” the Secretary said. He meant Japanese old traditional policy regarding the territorial dispute. 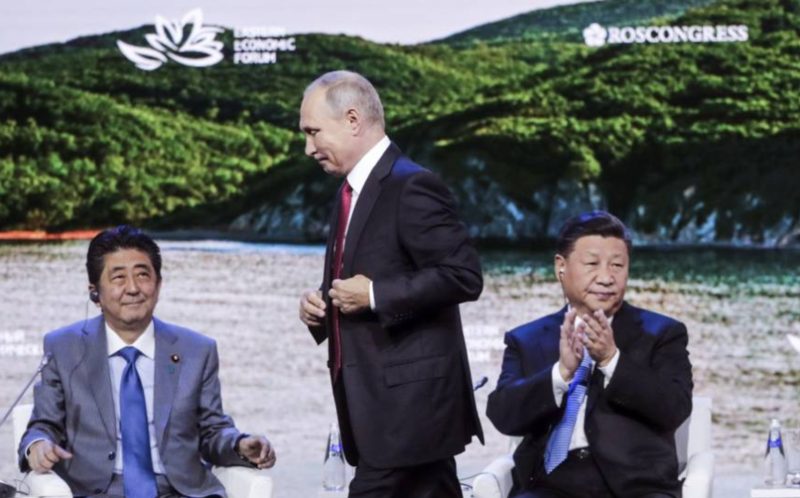 “President Putin and I share the view that it is an abnormal situation that Japan and Russia have not concluded a peace treaty although more than 70 years have passed since the end of the war,” Prime Minister Shinzo Abe said. Another Japanese high official said that Tokyo considers Putin’s forthright word is not official and does not deserve an official diplomatic protest. “It would be ridiculous of us if we reacted to every utterance he makes,” he said. Kurile Islands is a range of islands between Kamchatka peninsula and Hokkaido Island. Russia insists that these islands belong to it. Japan, in its turn, states that Moscow has illegally taken them after the Soviet Union occupied them on the last days of WWII.